Fr. John Edward Keehner, a Youngstown native, was reared in Austintown township, where he attended the public schools, graduating from Austintown-Fitch High School in 1984. He received a B.A. in English Literature from the Pontifical College Josephinum in Columbus, Ohio in 1988. From the Josephinum, he moved on to Mt. St. Mary Seminary of the West in Cincinnati, Ohio, where he received his M.Div. and an M.A. in Biblical Studies in 1993. Fr. 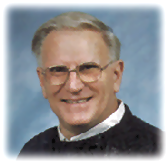 Keehner was ordained a deacon by Bishop James Malone at St. Columba Cathedral on December 12, 1992. Bishop Malone also ordained him to the priesthood at St. Columba on June 12, 1993. Fr. Keehner’s first pastoral assignment was at St. Charles Borromeo Parish in Boardman, where he served from 1993 to 1997, when Bishop Thomas Tobin sent him to Rome to study Canon Law at the Angelicum. He received his licentiate in Canon Law in 1999 and returned to Youngstown, where he began working in the Diocese of Youngstown’s Department of Canonical Services as a Judge. He was assigned to St. Columba Cathedral as Vice Rector in 2000. In 2002, Fr. Keehner became Director of Campus Ministry at the Newman Center at Youngstown State University, a position in which he served until 2005, when he became administrator of both the Cathedral parish and St. Casimir Parish. In May of 2007, Bishop George Murry appointed Fr. 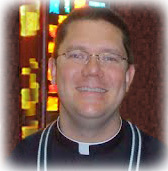 Keehner as Rector of St. Columba Cathedral and Pastor of St. Casimir Parish. He also continues to serve in the Department of Canonical Services and is involved in the diocesan marriage preparation program and is Chaplain for the Ladies Ancient Order of Hibernians, Golden Rose Division of Mahoning County, and acting Chaplain for the Mahoning County Division of the Ancient Order of Hibernians. Fr. 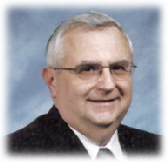 Keehner became pastor of St. Christine on September 25, 2012. In addition, he was named pastor of St. Luke Parish in Boardman in August of 2017. He currently serves both parishes and continues to serve as a Judge in the Department of Canonical Services for the Diocese of Youngstown. St. Christine Parish is the first assignment for Fr. 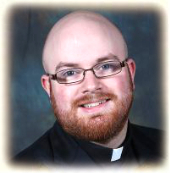 Zachary Coulter, who was ordained to the priesthood by Bishop Murry in St. Columba Cathedral on June 17, 2017. Fr. Coulter is the son Dan and Kimberly Coulter and has eight siblings. He received his Master of Arts and biblical Studies from Mount Saint Mary’s Seminary in Cincinnati. When asked about what led him to pursue the priesthood, Fr. Coulter responded, "I went to a Catholic university and there I began to pray a lot more. With that came a feeling of being called to the priesthood. After a few years of getting comfortable with the idea I talked to the director of vocations for the Diocese of Youngstown and entered seminary." After having been in seminary for seven years, Fr. Coulter says, "I am chomping at the bit to get home and get to work." Please welcome him to our parish! Deacon Cuttica has been a member of Saint Christine Church since 1980. He was ordained a deacon in 1990 and has worked with the Adult Formation and Education Committee, and Parent Sacramental Prep. Dr. Cuttica is a retired Orthopedic Surgeon. He is married to Dr. Pat Miller and is the father of three children. Ronald Goulish and his wife, Cindy, are life-long members of the parish. He has worked as an organist and choirmaster since 1963. Since 1990, Mr. Goulish has been the full-time parish Director of Music. He completed his Bachelor of Sacred Music Degree at GTF. He is professionally certified by the American Guild of Organists as Colleague, and served as the dean of the local chapter. 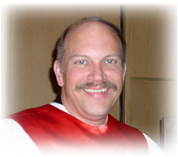 He is also a member of the National Pastoral Musician Guild and Director of Music Ministries Division. 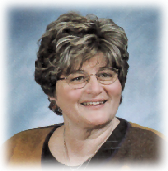 Colleen Boyle began serving Saint Christine Parish in 1977 as Youth Minister. She expanded her role to Director of Faith Formation, and currently handles the catechetical instruction for grades PK-8 and the sacramental preparation for both our parochial- and public-school children. Mrs. Boyle received her BA from Youngstown State University and Religious Education Certification from the Diocese of Youngstown. She also served on the faculty of John F. Kennedy High School in Warren. 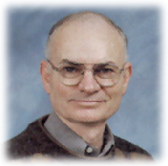 Deacon Brown has been a member of Saint Christine Parish since 1983. He was ordained a deacon in 1985, and has served his Diaconate here since then, currently directing the RCIA program, Bereavement and Assumption Nursing Home. Deacon Brown is a retired insurance agent for State Farm Insurance. His wife is Joanne and they are the parents of six children and grandparents of sixteen. Deacon Layko is married to Nancy and is the father of two children, and grandfather of four. My name is Matthew Humerickhouse and my home parish is St. Michael the Archangel. I was born and raised in Canton, Ohio and attended Jackson High School prior to studying theology and philosophy at Walsh University. During the summer breaks while at Walsh I worked as a landscaper for a small local company, which conveniently worked well with my love of the outdoors. I have one brother, Jeff, who is three years my junior. My desire to pursue the priesthood began in fourth grade when a priest came to my religion class and gave a vocation talk. There were many ups and downs in my journey but, in time, I had the courage to answer the call and now I am looking forward to spending my internship year at your lovely parish.